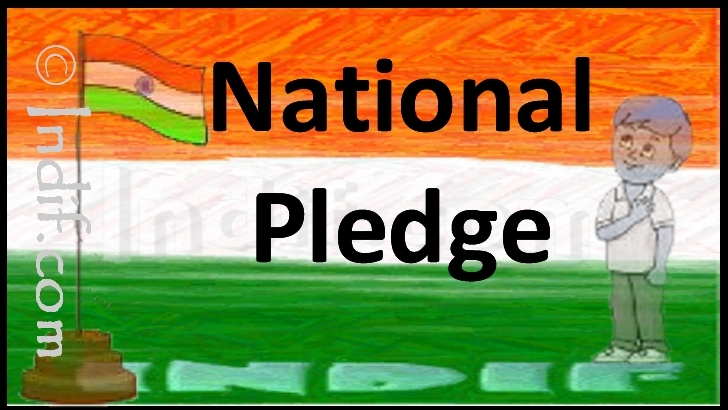 The National Pledge is an oath of allegiance to the Republic of India. It plays a pivotal role to develop nationalistic spirit in the citizens of a country. The Indian national pledge was originally composed in Telugu language by writer Pydimarri Venkata Subba Rao in 1962. It was first read out in a school in Visakhapatnam in 1963 and was subsequently translated into various regional languages. The Central Advisory Board on Education meeting in 1964 in Bangalore, under its chairman M. C. Chagla, directed that the pledge be read in schools and that this practice be introduced by 26 January 1965. Indians usually recite Indian National Pledge in the events organized for public gathering and is narrated in school assemblies in the country, and during the Independence Day and Republic Day celebrations. Almost all opening pages of school textbooks carry its printing to develop the nationalistic spirit in students.